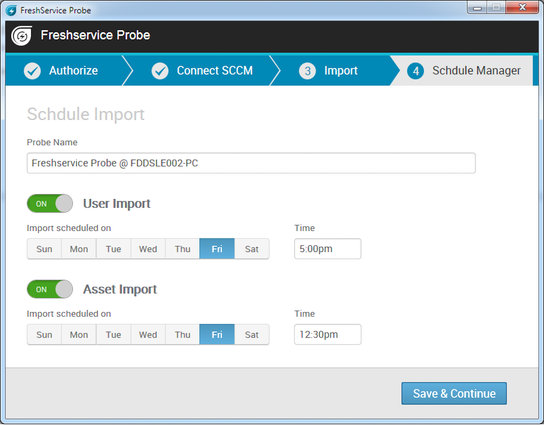 This integration helps asset managers to sync their hardware and software inventory, as well as user information available in their SCCM with the Freshservice CMDB/Asset Management module & Requesters module respectively. 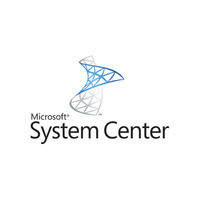 SCCM (System Center Configuration Manager) is one of the modules of System Center products by Microsoft. 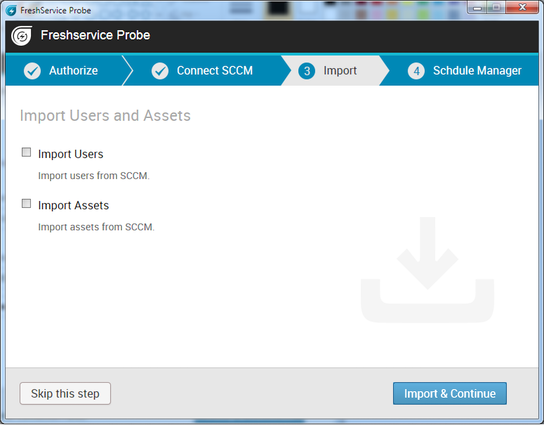 With the first version of the Freshservice-SCCM Integration, you can sync your Hardware and Software inventory and User information available in SCCM with the CMDB/Asset Management module and Requesters in your Freshservice account. 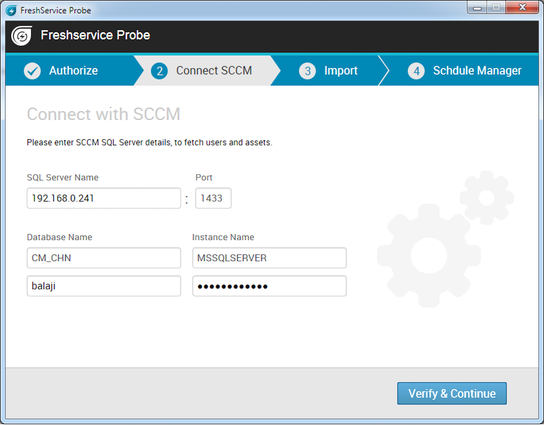 SCCM is integrated with Freshservice using the client tool, Freshservice Discovery Probe. 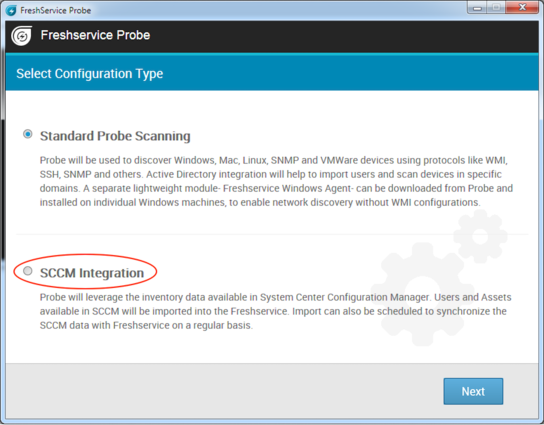 Please follow the instructions in the solution article - https://support.freshservice.com/support/solutions/articles/205230-how-to-integrate-sccm-with-your-freshservice-account to set up the integration.